Do you find yourself thinking about your skin or acne a lot? Do you worry about what other people think of your skin? Are you still struggling with acne even after changing your diet? If you said yes to any of these questions, stress might be the reason you’re not seeing the results you want. I know it seems like a stretch to claim that stress causes acne, but the scientific evidence is clear – stress can play a huge role in acne. So, what can you do? You can’t just “not” get stressed. Everyone gets stressed out. We have deadlines, busy jobs, annoying friends, and bills to pay. On top of all this sh*t, acne can be a major stressor too. Is there any way you could manage stress differently and not worry so much about the little things? 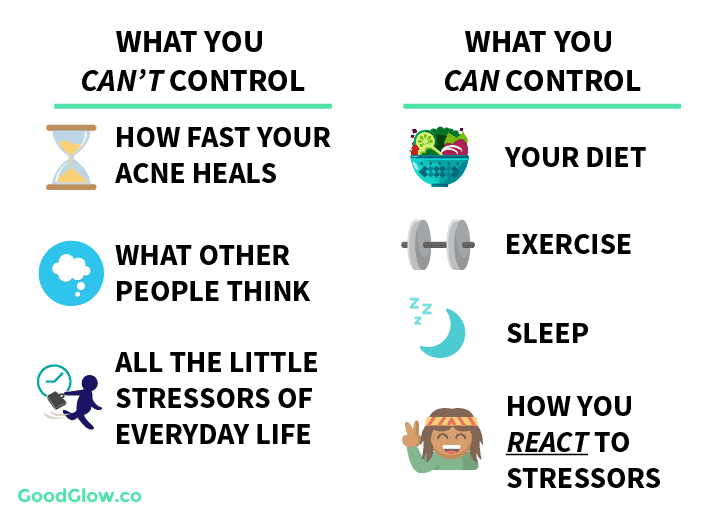 After all, is it really worth getting stressed out about the stuff you can’t control, like the morning traffic, your frustrating boss, or how quickly your skin heals? Meditation – What is it and how can it help acne? What do you think of when you hear the word, “Meditation”? 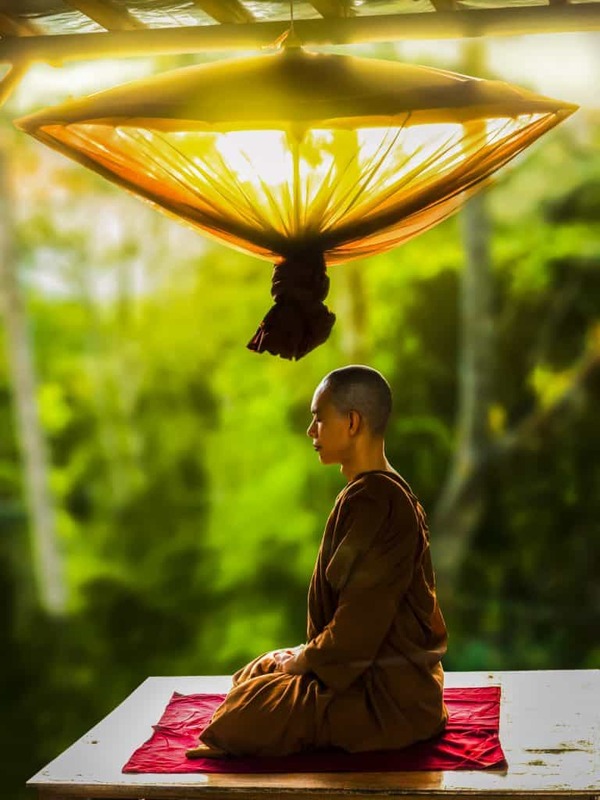 Most of us probably think of a monk sitting cross-legged on a mountain, levitating several feet above the air as he quietly hums ancient Buddhist scripture. Some of us might think of hippies, startup CEOs, or trendy millennials sitting on a yoga mat. Wow, look at how relaxing that sunset is. That guy must really be in deep meditation, huh? This couldn’t be further from the truth – the stereotype is that meditation is mystical and confusing when really it’s one of the simplest things in existence. While meditation is really just beginning to blossom in the United States, it’s been a mainstream practice in Eastern Cultures for centuries. It’s been used for thousands of years to help calm both the mind and the body. Meditation is extremely simple. It’s is all about learning to observe yourself and the world around you without judgment. This often involves focusing on a single object (like the breath) for a certain amount of time. Meditation helps cultivate mindfulness, which is the ability to be present in the here and now. How often do you find yourself getting swept away in thoughts and emotions? Pretty much all the time, right? That’s what mindfulness aims to help with. That’s a (very) brief explanation of meditation and mindfulness. I’ll go more into how to get started meditating in a little bit, but for now, just know this: meditation helps you get out of your own head and all the crazy stories you tell yourself on a daily basis. This little voice in our head is a major source of unnecessary stress. It’s always telling us what to do, what to worry about, how to act, and what to think. It makes driving stressful. It makes work stressful. It makes sticking to a diet stressful. Don’t you wish you could just ignore it? In a way, that’s what meditation can help you achieve. Why does this matter for acne? Clearing your skin is a long and difficult fight. No matter how quickly you clean up your diet or start exercising, your skin isn’t going to get clear overnight. Just think of all the unhealthy habits that you’ve built up over the years. I’d been neglecting my diet for years, not to mention the damage I did to my skin with harsh cleansers and antibiotics. No sh*t it’s going to take some time to heal and repair! It’s going to be tough – you need to make difficult decisions, overcome old habits, and break down the mental barriers that hold you back. A lot of people find this process stressful, but thankfully meditation and mindfulness can make it a lot easier to achieve. Let’s break down how meditation and mindfulness can truly help you on your journey towards clear skin. 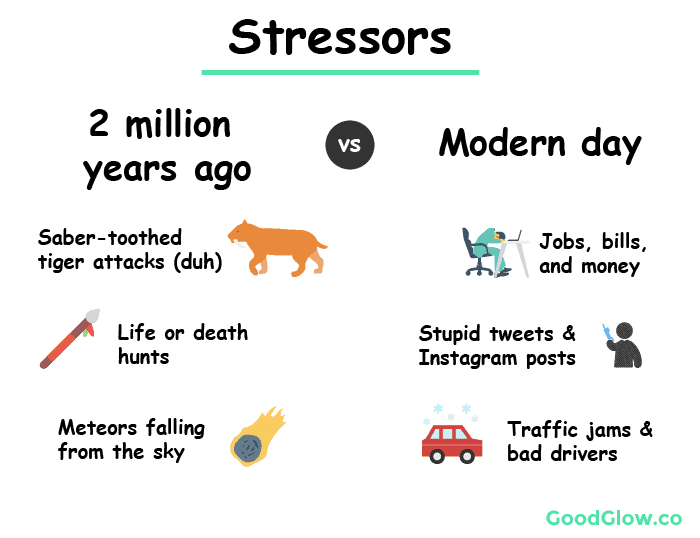 An outside stressor (deadline, traffic, social anxiety) triggers the release of cortisol, a natural fight-or-flight hormone that gives us increased awareness and energy. 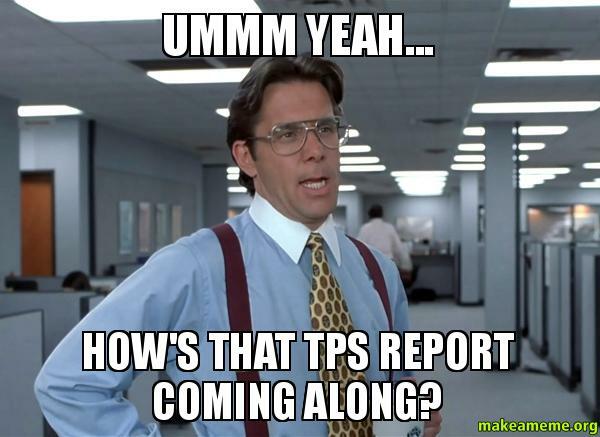 Cortisol is great when we need to fight a tiger – not so great when we’re stuck in traffic or just need to get some TPS reports done. The increased energy and awareness has to come from somewhere, so our body pulls more glucose into the bloodstream. This causes insulin to be triggered. Insulin is a nightmare for acne, especially when our body consistently releases too much of it and we develop insulin resistance (you can read more about it here). Insulin causes the body to pump out more sebum – an oil on the skin that can easily clog pores. Simply put – More stress means more acne. Luckily, meditation comes to the rescue. Numerous studies have found that a consistent meditation practice can increase relaxation levels and decrease cortisol levels (R). By taking time out of your day to settle the mind and become centered in the present moment, you’re no longer swept away by the tiny little things that stress you out. You’ll still notice them, but you won’t cling to them like you used to. Meditation has been shown to not only change the way you react to everyday stressors but also your brain’s actual composition – meditation can literally alter your brain and the way it functions (R). Bottom line: Meditation = less stress = less acne. Sleep is another huge factor for your skin’s health, not to mention your overall wellbeing. Mindfulness addresses this problem directly – instead of swimming in these stories you tell yourself, you create the conditions for an open, clear mind. The thoughts and mental chatter still come, but you realize that they’re only temporary thoughts and feelings that’ll go away. Meditation and mindfulness go a long way for creating the proper conditions for sleep. Recent studies have found that meditation is extremely effective at treating insomnia (R). 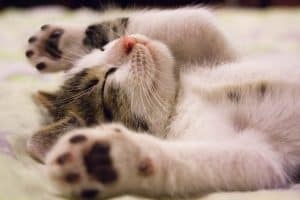 Other researchers found that long-term mediators exhibit entirely different sleep patterns than non-meditators – meditation can alter how you sleep (R). Falling asleep faster and staying asleep longer is my personal favorite perk of my meditation practice. Bottom line: Meditation makes falling and staying asleep easier, which means less acne. Let me guess – when you started the journey towards clear skin from within, you had some pretty bad habits to begin with? Did you constantly drink soda, indulge in ice cream at night, or eat a whole bag of chips on the regular? 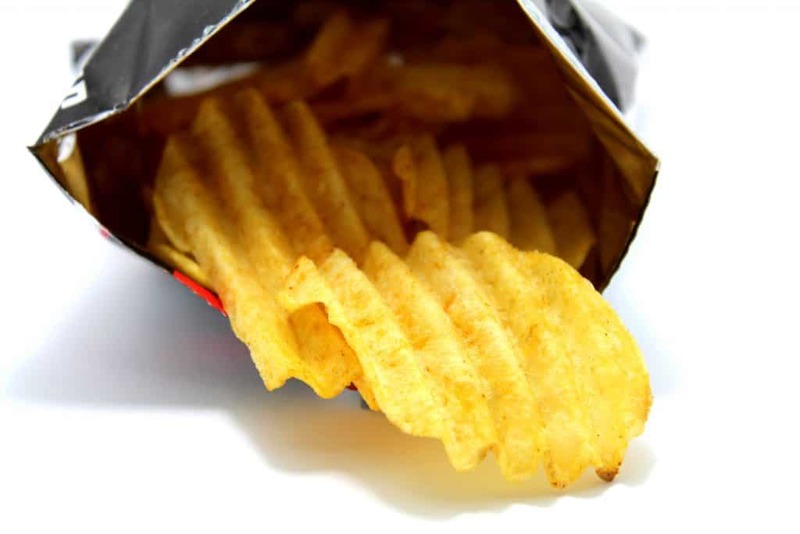 You might even have some serious underlying addictions to certain foods and drinks. I know it sounds silly, but I sure did. I can’t tell you how hard it was to kick carb-binging to the curb after a childhood of eating chicken tenders, french fries, and mac and cheese for dinner almost every night. Pro-tip: Don’t buy things you know you can’t eat in moderation. If you always eat a whole bag of chips or an entire jar of almond butter, don’t buy them! 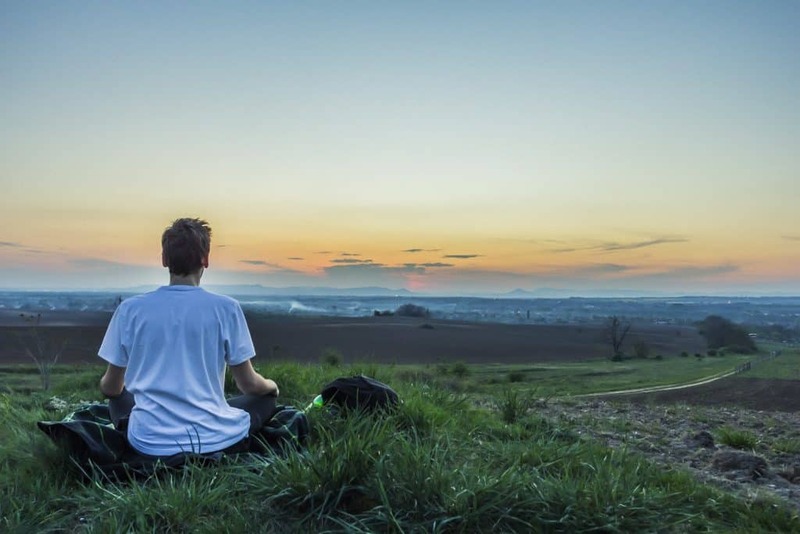 Meditation can be a huge stepping stone here because it helps you see and understand your addictions for what they really are – temporary thoughts, feelings, and urges. Instead of caving on the urge to eat a whole bag of tortilla chips, you observe it from a distance. It’s like watching a huge cloud come rolling in across an otherwise blue sky. The cloud might loom overhead for a bit and it might get a bit cloudy, but after a while, it moves away, the sun reappears, and the mind is clear again. You don’t have to get lost in urges, you can just sit back and notice them. 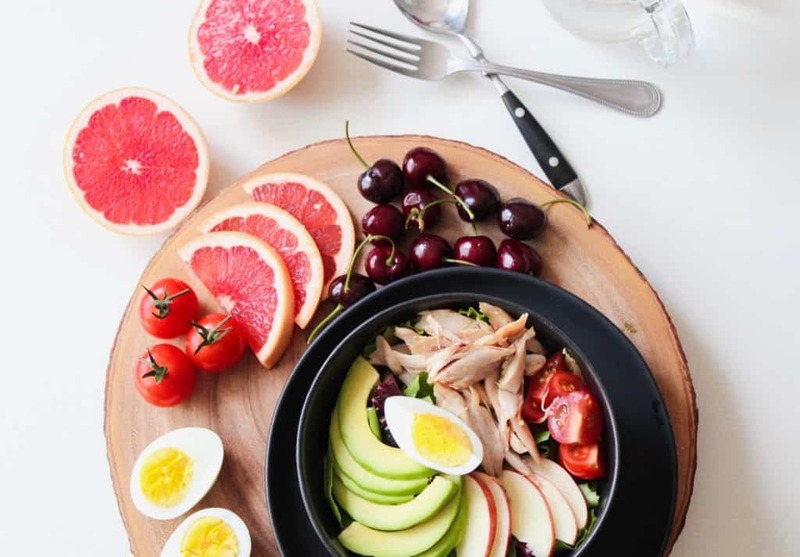 Don’t take my word for it, clinical psychologists have found meditation and mindfulness play a critical role in kicking addiction to the curb – particularly poor eating habits. Bottom line: Meditation helps you see your urges and addictions as temporary feelings and thoughts that pass with time. Acne naturally lends itself to anxiety, especially social anxiety. Do you find yourself always wondering if people are silently judging you or constantly worrying about whether they’ll notice your acne? Are you afraid to meet new people or pursue romantic interests? You may have social anxiety. Anxiety leads to consistently higher levels of cortisol and bad hygiene habits like touching your face, biting your nails, and sweating. Like I said in the beginning: Clear skin isn’t going to come in overnight, so what good does it do to worry about it? It takes time, effort, and lots of tweaking and refinement. I know it’s easier said than done, but really, why worry about what other people think of your skin after you’ve committed to doing everything you can to clean up your diet and improve your health? You can’t control what they think, so why bother? It just creates more stress and more anxiety (and more acne). Mindfulness helps you realize when you’re stuck in social anxiety. It gives you an opportunity to acknowledge social anxiety at a distance instead of getting lost in it. 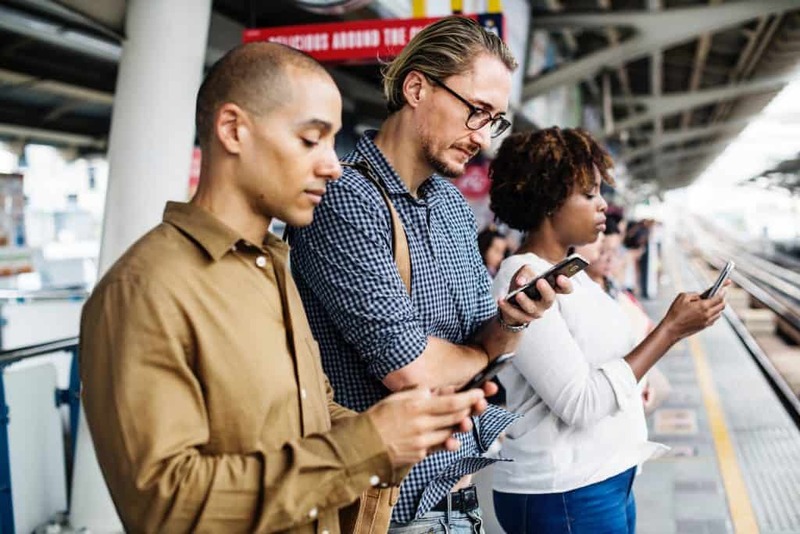 As humans we’re inherently social beings – we have to deal with hundreds of social situations every day. These can be opportunities for happiness, joy, and growth, or they can be a breeding ground for stress, anxiety, and acne. I’m asking you to trust me on this one – mindfulness and mediation will not only change your skin, but it’ll change your life. In fact, don’t even do it for your skin, do it for your own mental sanity. When you meditate and cultivate mindfulness, you let go of the constant chatter and conflict that’s going on in your head and just accept the present moment. What does this lead to? When you eat with mindfulness, you enjoy every single bite to the fullest. 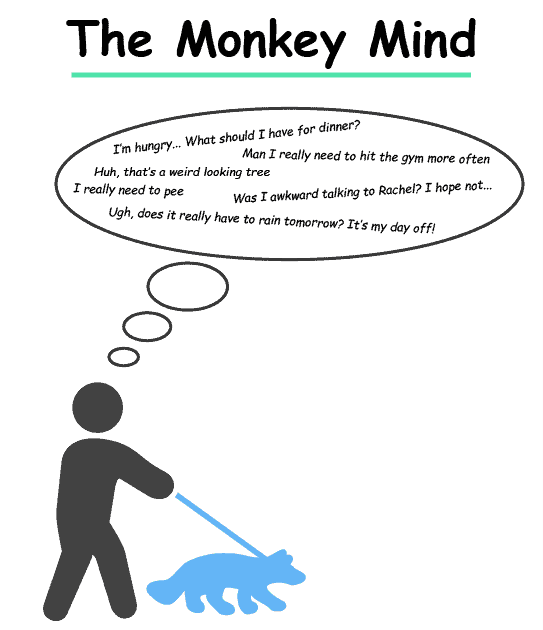 When you exercise with mindfulness, you enjoy the opportunity to push your body instead of fearing it. When you run into obstacles on the way, you learn any lessons you can and move on – you don’t agonize over setbacks. I attribute a huge portion of my own health transformation to mindfulness and meditation, not to mention my improved relationships with friends and family. I’m genuinely a lot happier and more content with life than I used to be. The benefits of meditation and mindfulness don’t stop once you leave the cushion, it pours over into every aspect of your life and fills every moment. Bottom line: Meditation makes being healthy, both physically and mentally, a lot easier. A healthier you means less acne. So, now that you know why you should consider meditation and mindfulness for achieving clear skin and an overall healthier life, it’s time to talk about how to meditate. This isn’t going to be a comprehensive guide on meditation, nor am I claiming to be an expert on the subject. I’m just a guy who picked up meditation about a year and a half ago, saw some awesome effects, and kept running with it. Meditation does not need to look like this. It can be done on a couch, chair, mat, cushion, or even standing. For starters, there’s no right way to get started when it comes to meditation and mindfulness, and there’s also no reason to spend a boatload (or any) money on it. I started with Headspace’s guided meditations (the Pro package is about $10/month) and eventually replaced it with my own unguided meditation practice after reading and listening to more books on the subject. I found Headspace to be a great first step, and I’d highly recommend you try the free Take-10 exercises. There’s plenty of resources out there that might work better for you below. Don’t rush, you have plenty of time. Slow down and enjoy the ride. I promise you, it’ll be worth it. Here are a few more apps, books, and resources to get started if you’re interested. I haven’t tried all of them, but these are the leaders for beginning meditation and mindfulness. The Things You Can See Only When You Slow Down (this is my personal favorite book on mindfulness. I read it anytime I need a dose of reality and feel off-centered). 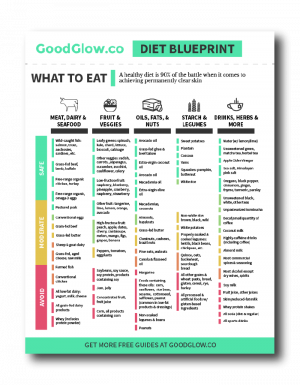 If I could recommend one single thing that all readers of GoodGlow.co do for clear skin – a habit, practice, or diet – it would be to meditate every day. It is seriously that powerful. If you want to get the ball rolling towards a healthier life, both physically and emotionally, meditation is the best thing you could possibly do. Meditation spills over into everything you need to achieve clear skin. It makes eating healthy easier. It makes exercising easier. It makes social situations easier. It makes life just a little bit easier. I honestly could not have transformed my health and my life without meditation. I’m going to give you a challenge: try meditating for just 5 minutes tomorrow. Use a free app like Headspace if you need help. Then, do it again the next day. And the next. Make it a habit. You might not notice any changes at first, but trust me – you will soon enough. Don’t push yourself too hard, and focus on doing just a little bit each day. Trust me – in no time you’ll love to meditate and you’ll be grateful for everything meditation can do for you. Are Sardines an Acne-Fighting Superfood? Can Drinking Matcha Tea Help Get Rid of Acne?